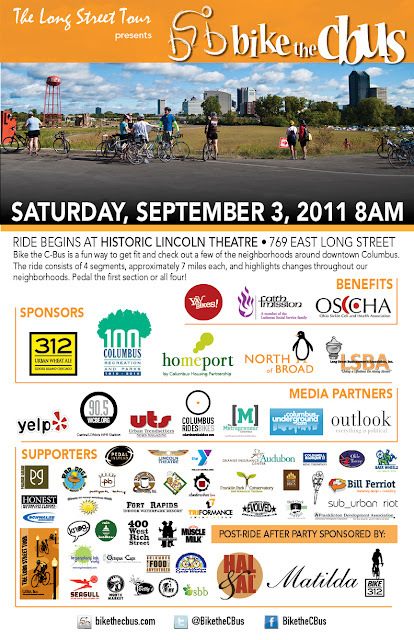 THREE days left until Bike the C-Bus early bird registration ENDS! Register by 8/15 to SAVE $5 and get your TSHIRT. 7:00-9 a.m. start at New Albany Elementary School, 87 N. High Street, New Albany. Roads will be marked and maps provided. Short route has three hills; longer routes have many more. Ride the ridges on routes of 31/52/85/100 miles. Shadowbox Live has moved! Win a table for 8 in the Bike the C-Bus raffle and see their new space. Shadowbox Live is moving to 503 S. Front St. on August 19th. Register before August 15th to SAVE $5 and guarantee your t-shirt, plus get registered for the raffle. Shadowbox Live is donating a table for EIGHT so one lucky participant gets to see their new digs! Rivers, Trails & Ales Festival starts tomorrow in Marietta! Bring your bicycles to town! Several organized road and mountain bike rides will be happening during the daytime on Friday and Saturday: beginner, intermediate, and advanced (both trail and road rides). Stop in to get directions & maps to head out on your own, or meet up with a group at 10 am at the Armory. You set your own pace. All rides are unsupported. Don’t forget all necessary gear, helmet, snacks, and water. BEGINNER RIDES: <10 miles. Suitable for riders of all ages and abilities. *Note: Some rides will leave by bike from the Armory, others will require driving from the Armory to the starting point. Some trail rides are planned for Wayne National Forest. Carpool with your fellow riders. 9 am: Event Headquarters/Information Central opens on the Armory Lawn. Stop in to pick up information on the day’s activities. 10 am: Group meet-up for all road and mountain bike rides. If you want to join up with other folks for a ride, this is the time! Meet at the Armory. Did you know that within the City of Marietta..
there are over 15 miles of quality single track mountain bike trails! there is a paved dual lane bike path that follows the Muskingum River through the downtown, currently 3 miles from start to finish. local county roads make for excellent scenic road routes. The Marietta unit of Wayne National Forest is home to nearly 80 miles of hiking and mountain biking trails. Towering trees, rugged hills and valleys define this hidden jewel of SE Ohio. The White Castle building is no longer sitting at the farm. An urban visionary who cuts through the gridlock. Janette Sadik-Khan Before Janette Sadik-Khan came along, the job of the New York City transportation commissioner was pretty straightforward: Keep the traffic moving. * In her four-year tenure, Sadik-Khan has transformed the position. She is transportation commissioner as real estate developer, urban beautifier, bicycle advocate, and environmentalist. In the process, Sadik-Khan—"JSK" to those who revere her—has begun to drag the city's transportation infrastructure into the new century. When Mayor Michael Bloomberg named Sadik-Khan in April 2007, Broadway was still a vehicular thoroughfare, Bronx to the Battery. Now it is a pedestrian mall in the heart of midtown, forcing cars to detour. Whether this makes traffic run more smoothly is a matter of debate. That it has made money for Times Square merchants, however, is widely agreed. In a Slate interview, Sadik-Khan noted that the Department of Transportation is also the city's largest builder (of bridges, roads, ferry terminals, and the like). She has brought a private developer's sensibility to the role, using her power to turn her personal vision into reality. It has worked; for all the initial opposition to the Broadway project, the New York Timescalled it "perhaps the swiftest re-engineering of a major New York roadway ever." Bike the C-Bus 2011 lunch options are Rad Dog, Creole Kitchen, and Yellow Boy Polish Boy's! Bike the C-Bus 2011 registration includes a lunch option at the end of the ride. 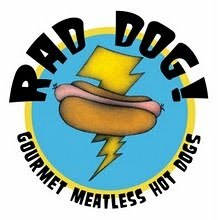 For 2011, we are expanding our options and have added Creole Kitchen and Yellow Boy Polish Boy's along with crowd favorite Rad Dog from 2010. Make sure you register before August 15th to SAVE $5 and get your t-shirt. After August 15th registration increases to $30 and NO t-shirts will be available. Only 6 days left for EARLY BIRD REGISTRATION! Save $5 and get a t-shirt. Moving Planet is a global event to celebrate the transition to clean energy. 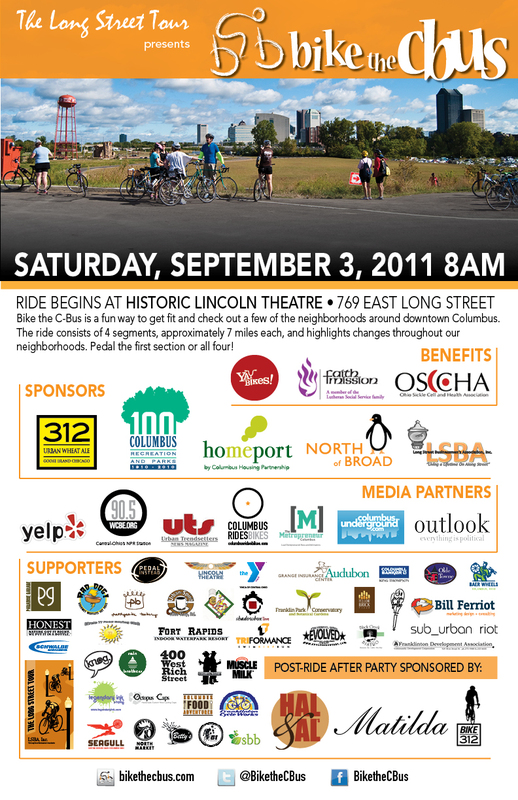 In Columbus, our Moving Planet event will be a giant bike ride and party at Franklin Park for hundreds of people. We’ll have music, food, and activities for children. We will call on our local leaders both public and private to embrace clean energy and climate change solutions. Join us on the 24th at noon in Franklin Park for the largest party for the planet in Ohio history.